Henry started out playing a new promo for the Horror at the Fort event. Tonight we welcomed prolific author and paranormal investigator Richard Estep	of Boulder County Paranormal Research Society he founded. Henry, who was feeling a bit poorly the evening, asked about Richard's book Spirits of the Cage, and about the evil Witch Finder General Matthew Hopkins. Skype was being tempermental and I had to reboot. Ceiling Cat Barbara Duncan asked about an EVP he got while they were preparing the investigation. 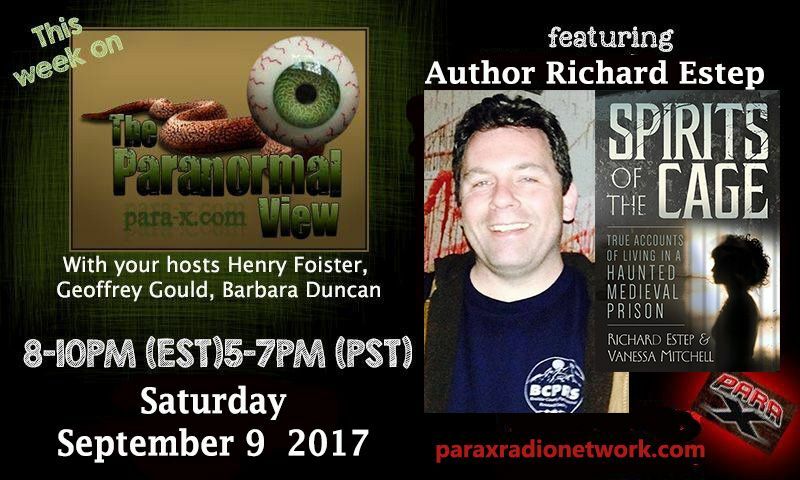 09 September 2017 The Paranormal View.